Just prior to the Supermoon of March 18th, 2011, the world witnessed both a natural and a manmade disaster of epic proportions. 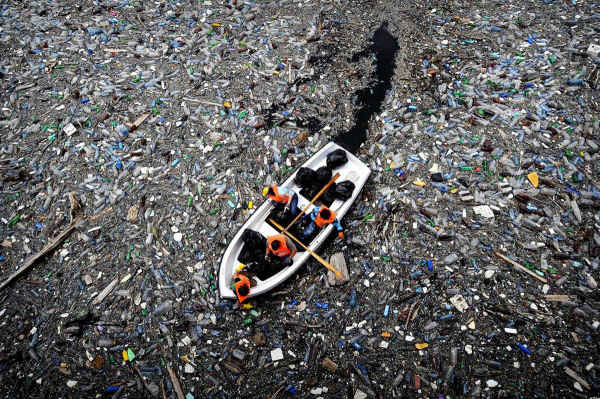 What transpired off the coast of Honshu Island, Japan on March 11 has forever altered the planet and irremediably affected the global environment. Whereas the earthquake and tsunami proved to be truly apocalyptic events for the people of Japan, the ongoing nuclear disaster at Fukushima is proving to be cataclysmic for the entire world. Most of the world community is still unaware of the extremely profound and far-reaching effects that the Fukushima nuclear disaster has had. If the nations of the world really understood the implications of the actual ‘fallout’ – past, current and future – the current nuclear energy paradigm would be systematically shut down. For those of us who are in the know, it is incumbent upon each of us to disseminate the relevant information/data necessary to forever close down the nuclear power industry around the globe. There is now general agreement that the state of the art of nuclear power generation is such that it was deeply flawed and fundamentally dangerous from the very beginning. This fact was completely understood to be the case by the industry insiders and original financiers of every nuclear power plant ever built. Nuclear engineers had a very good understanding of just how vulnerable the design, engineering and architecture was at the startup of this industry. Nevertheless, they proceeded with this ill-fated enterprise at the behest of who? More importantly, “Who ought to be responsible for mitigating this ongoing planetary nuclear catastrophe?” And, is there any practical way this predicament can be fixed? Is there technology available which can address this situation in any meaningful way? With the increasing energy needs of the global economy pushing energy-poor nations like Japan into nuclear power, the economic incentive has always overridden good judgment. Especially in Japan do we see a nation that was literally set up to be a poster child for the nuclear power industry. This, in a place that is known to be the most seismically active region in the world! Numerous headlines over the past few weeks have been relentless in trumpeting Japan’s begrudging response to this global wakeup call. For the first time since nuclear power has been used in the land of Nippon, all 55 nuclear power plants now sit idle. This is of course very good news for the people of Japan. The question now remains how to go about remediating all of these vulnerable and unsafe nuclear reactors. Particularly because of those nuclear plants that are located anywhere along the Japanese coastline is this remediation imperative an existential necessity. 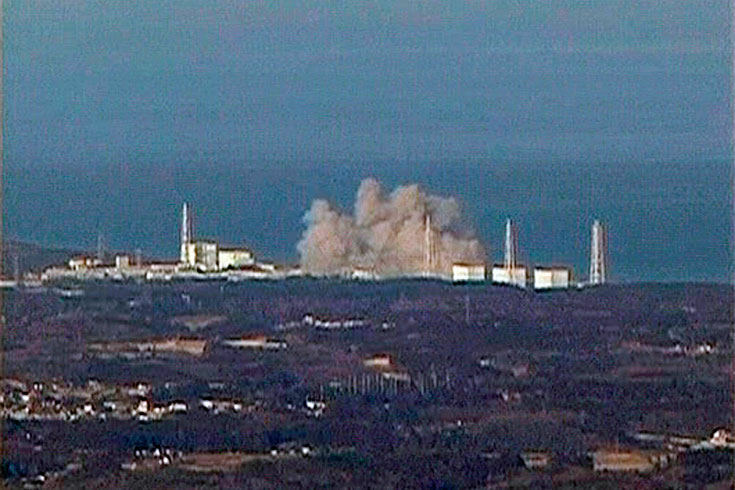 Japan switches off last nuclear power plant; will it cope? Since the very first news about the Fukushima nuclear disaster came to light, many industry researchers and various investigations have unveiled the multi-decade plot to foist nuclear power onto the islands of Japan. The many forces arrayed against the Japanese people were so formidable that this ill-fated enterprise could only come to such an unfortunate outcome. Just as humankind learned from the folly of dropping atomic bombs on Hiroshima and Nagasaki, Fukushima has served as an example of how not to implement nuclear power generation. If Japan is to remain habitable for future generations, there are certain (nuclear) matters confronting every corner of this island nation which must be addressed post haste. We know the people of Japan are up to it. The real question is whether the powers who have controlled their destiny are willing to back off for once since WWII. Can the USA, the UK, France and Israel completely let go of their control of the Japanese economy, energy infrastructure and political process? Not only does the very existence of Japan rely on this relinquishment of control, the futures of the USA, UK and France do as well. Most are not aware, even at the very highest levels of the Global Control Matrix, but as Fukushima goes, so goes Japan. Taken to its logical conclusion we can say with absolute certainty that as Japan goes, so goes the entire planet. In reality, Japan is not only a super-charged trigger point in the Pacific Ring of Fire, it is also a lynchpin for the world economy as the previous article well explains. Therefore, we would highly advise the Anglo-American power structure to take proper responsibility for this unprecedented global catastrophe and show up in great force on the Honshu coastline to remediate and de-activate wherever still possible. It is quite quizzical that those who run the Global Control Matrix have not yet seized the day. What is clearly at stake is the Pacific Ocean, its shorelines, numerous national economies, as well as myriad ecosystems and aquatic environments. If they persist in this display of passivity and willful neglect, the planet may never recover. 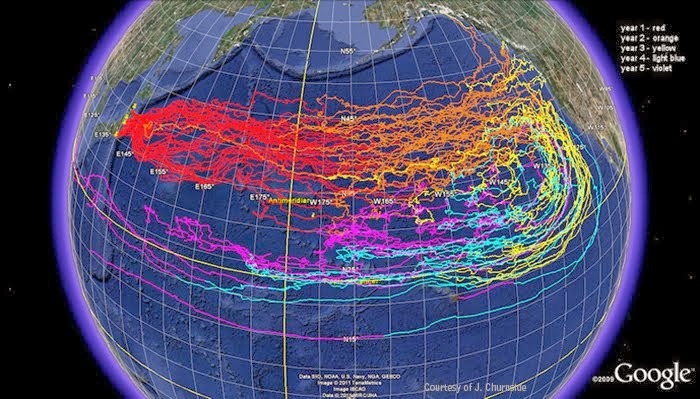 Surely, we can offer the observation that as the Pacific becomes exposed to massive volumes of radioactive water being dumped from the Fukushima site, eventually this radiation will find its way to the four corners of that ocean and beyond. There has been a steady barrage of headlines lately aimed at those who can respond to this global catastrophe with some degree of cogency. A uniquely cohesive international response is urgently required if there is to be any hope of a successful remediation. Only a fully represented international think tank and implementation team has any chance of formulating a strategy that might be successful at fixing Fukushima. We’re thinking of a Manhattan Project type of gravity. After all, if such a serious project was established in the interest of creating an atomic bomb, surely a similar endeavor can be initiated in the interest of saving the same country, which was ravaged by nuclear war, from Fukushima-generated radiation. 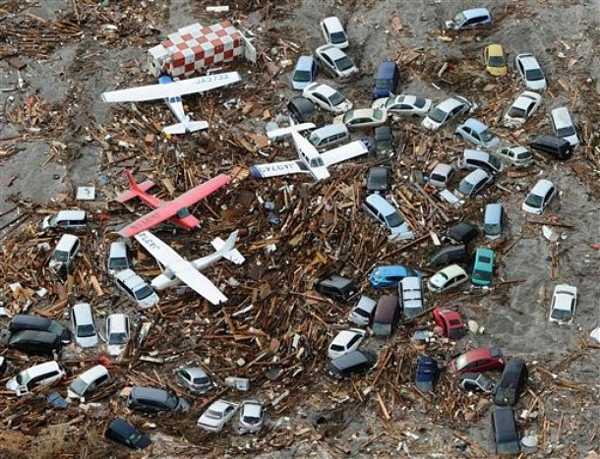 Japan has clearly shown that this disaster is way beyond their ability to manage and capacity to address in any meaningful way. Their entire culture seems to ensure that the real problems will be constantly swept under the rug. The problem this time around is that there may soon be no rug to sweep it under. The preceding article clearly sets forth the thesis that if Tokyo requires evacuation in the future, the Japanese economy will immediately collapse. This eventuality would merely be the first domino to fall toward the collapse of the entire global economy. The prospect at this point is so real that those decision-makers at the top of the Global Control Matrix can’t afford not to inaugurate a worldwide effort to remediate Fukushima. How about the rest of the Pacific Ocean? What does the future hold in store for the largest body of water on Earth. One that circulates more water than any other ocean and possesses more coastline than all the others put together. The following headlines portend the future health of the Pacific, so all are encouraged to take serious notice. 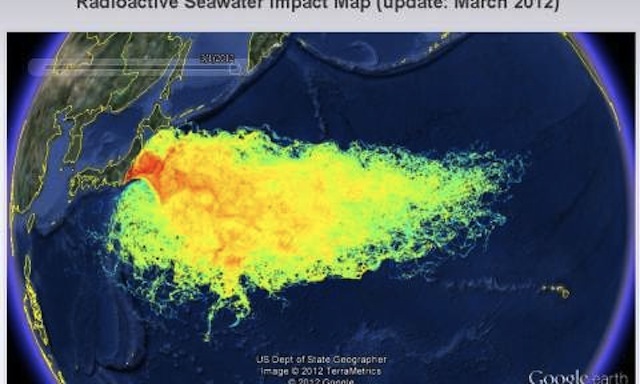 The upshot of each of the preceding articles is that the Pacific Ocean is extremely vulnerable to the radioactive waste being dumped into her waters at Fukushima. Should another catastrophic earthquake occur, it could create a new and more complicated nuclear disaster scenario that is truly irreparable. Even without any seismic activity affecting the nuclear sites, the current state of affairs has taken for granted that the Pacific Ocean will become a nuclear dumping ground for decades to come. It has not been lost on us that such an inevitability appears to be the only practical expedient available. We are truly saddened by the great loss of marine life and harm to myriad aquatic and shoreline ecosystems. As the nuclear radiation is exported around the Asian Ring of Fire, genetic mutation will begin to affect every form of life — from phytoplankton to whales, from seabirds to mangroves, from dolphins to krill. 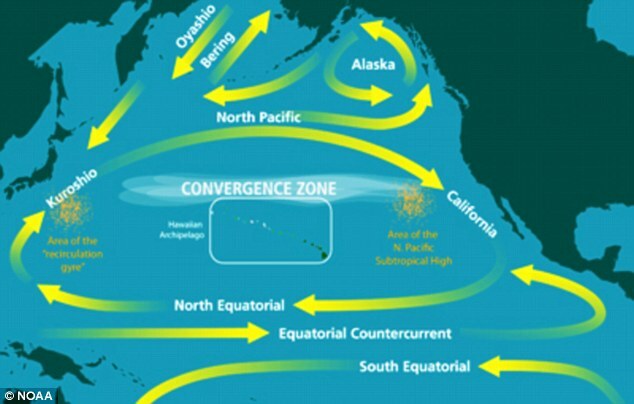 Everything that lives near the Pacific will be at risk to some degree. Anyone who lives, works or plays in or around the Pacific will be compelled to evaluate their relationship to this great ocean. What have we done to Mother Earth by siting nuclear power plants in the most seismically active region of the world?! What in God’s Creation can possibly be done to fix it? Never in the history of humankind has the planet been confronted with such a grave set of circumstances. Fukushima represents all that can go wrong when scientific applications and technological advancement within a crude industrial context have gone awry. 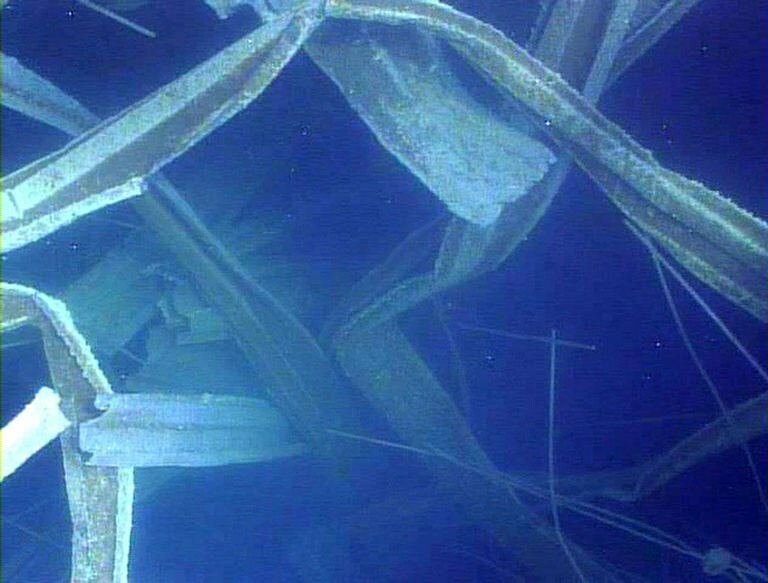 Unfortunately, given the many trajectories that numerous fields of technological innovation are currently on, Fukushima and the BP Gulf oil spill of 2010 may only be the beginning of a period of accelerating technospheric breakdown which will sweep across the planet. The first chapter entitled “Hazards of Low Level Radioactivity” ought to be a must read for anyone impacted by Fukushima. Also of critical significance, there is a phenomenon known as the Photoelectric Effect which weighs heavily throughout the entire contamination zone associated with the Fukushima nuclear disaster. The following article gives an important overview for those who want to know what we are really dealing with as a planetary civilization. 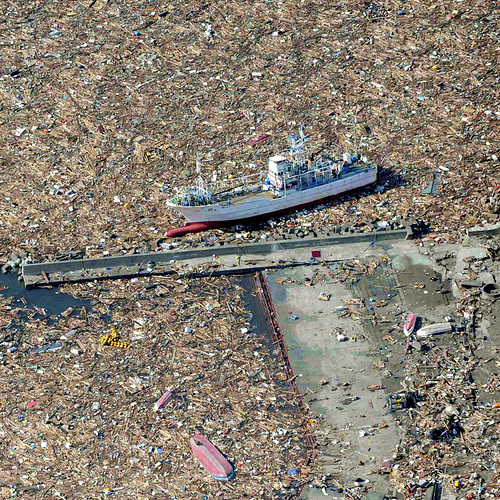 There has been no mention in this essay of the massive amount of debris pollution brought about by the Japan earthquake and tsunami of March, 2011. We have chosen a short photo-documentary instead to portray the current state of affairs in various locations throughout the Pacific Ocean. 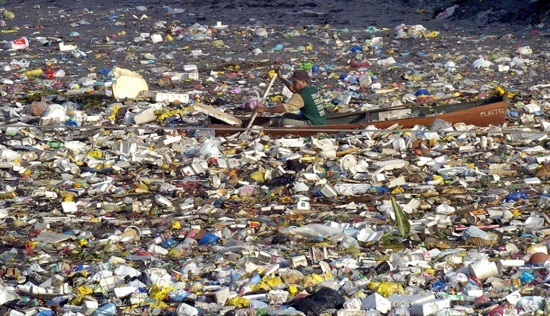 Here is the current flow and future map of debris pollution. The following article gives a much broader view of the current predicament which prevails across the planet. Clearly, technospheric breakdown is a phenomenon which few foresaw, otherwise we would not find ourselves at the edge of the precipice with respect to so many dangerous technologies and risky misapplications of scientific developments. For example, so committed is the world community to the hydrocarbon fuel paradigm that there appears to be no way of lessening our dependence on such an environmentally destructive energy source. Likewise, even in the face of Fukushima, many nations are unwilling to reconsider their dependence on the nuclear power paradigm. This essay elucidates the forces and motivations at work which militate against sound, rational and safe energy policy.